A stylish and popular hotel in a fantastic location with stunning views of Lough Allen. 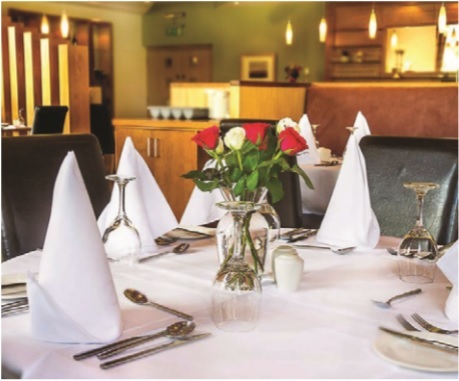 The Rushes Restaurant has superb reasonably priced menus with lovely wines and tasty mouth-watering dishes. Stylish and comfortably decorated with rich, warm colours. Extremely courteous and polite staff, you feel right at ease! Wonderful bar food is also served in the Lakeside Bar and Bistro with open fire in winter and lakeside alfresco dining when the sun shines.